Project CARS is a unique and one of the most realistic racing games. Its stunning graphics looks ahead of the time, and this great title is one of the most anticipated projects of 2014. If you still don't believe us, we would like to present you the newest Project CARS trailer that just amazes. This Project CARS trailer is not the cinematic video popular between game developers. It is an actual game footage with actual game sounds and pictures. And it looks better than any racing game before. As always, the developers remind us that Project CARS is a Community Assisted Racing Simulator, which means that the game is created for racers by racers themselves. And maybe because only real racers know, what they need from the racing game, this project looks perfect. 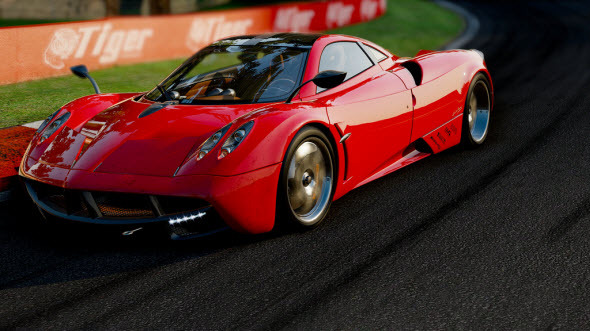 Seeing is believing, so no more words - just the amazing Project CARS trailer. And don't forget to write your impressions in the comments below.